Everyone, I'm sorry I've continued to be absent. My life has been non-stop since about February, when my beloved ferret, Paulie, was diagnosed with the cancer, insulinoma. I just finished my move last week, when Friday his heart, with all the love it had to give, grew too big for his body. He had to leave me at 6 and a half years old. Heart disease, on top of the already incurable cancer. This more or less is what I've been able to accomplish the past week-coping. There is now such a thing as ferret-dragons. 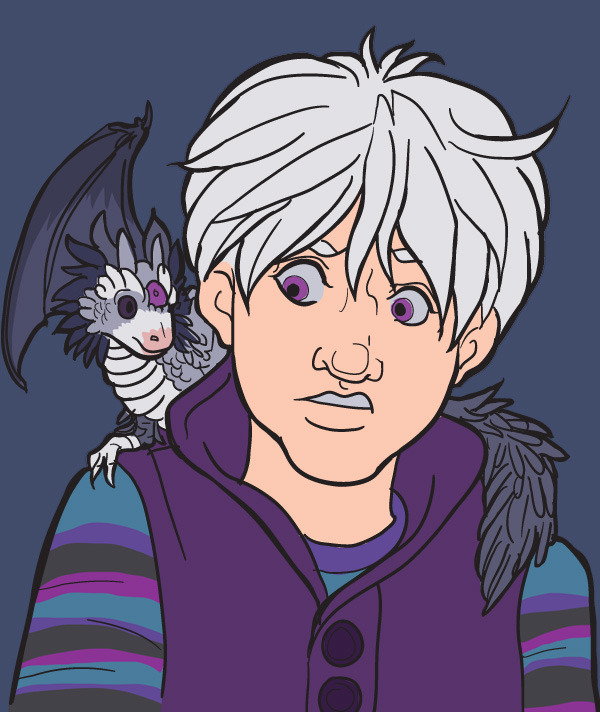 Gavin is quite confused by the playful creatures ... Paulie had a lot of dragon stuffies, so it seems only appropriate that this one looks a lot like him-with scales and wings. After I finish Chapter 2 there will be a hiatus ahead of Chapter 3. To give myself time to find my workflow again, and do a few projects that give me some solace. 62 will be posted tomorrow. 63 is coming next week if I can pull it off.